Welcome To Chinchilla Chronicles... A Website Dedicated Solely To Chinchilla Care And Education. Get ALL the information you will ever need regarding chinchillas! Don't spend hours trawling through books and other websites, when all the information you are looking for is right within these pages! Check out the AMAZING Chinchilla A-Z Health & Sickness Bible, listing over 150+ illnesses to look out! This 'must-have' ebook has saved hundreds of chinchilla's lives!!! 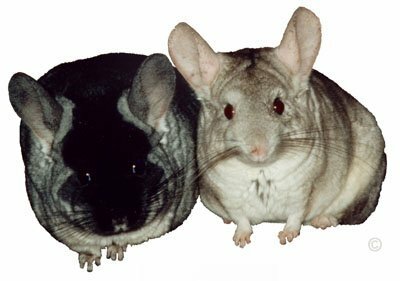 It doesn't matter if you are thinking of buying a chinchilla, already own a chinchilla, breed chinchillas or are just curious about these cute bundles of fluff - You will find pages and pages of key information on various topics that will help guide you to owning healthy and happy chinchillas. Chinchilla Chronicles has been running since 2008 offering VALUEABLE INFORMATION on chinchilla care to thousands of chinchilla owners! Thousands of visitors have found the information contained within this website priceless in offering optimum care to a chinchilla. Many owners have discovered the secrets to owning healthy and happy chinchillas and regularly return to read our Tip Of The Month and Purchase our Products. ...plus much much more ! Yes, that's right! This website holds so much information it has been designed with links to various topics, which contain vital information you really must read about! Become A Chinchilla Expert And Discover Even More Information That You Never Knew About! Chinchilla Chronicles comes with the backing of published chinchilla author Mirella Poli, whose first book An Essential Guide To Owning A Chinchilla has already made many thousands of owners happy and is now on its second print run! All our books come with the security of feedback and if that isn't amazing enough we also sell on ebay so you can checkout our there too! We not only provide pages of jam-packed information on chinchilla care and well-being we go that one step further and also donate to chinchilla rescue centres around the world! Yes that's right, some of the proceeds from our Shop sales are donated to desperately needing chinchillas every Christmas-Time in the form of essential products (see Donations List). Help save a chinchilla today and browse through our shop containing the most amazing chinchilla books currently available on the market. Chinchilla Chronicles does not take any responsibility for adverse reactions on a chinchilla either in their health or well-being. The information contained within this website is for a basic guideline and no information contained within should be replaced for expert exotic veterinary advice. By using this website, any external links and/or information contained within, you confirm that you have read und understood our Terms and Conditions. to visitors of this website. she was still fine in herself. Photo Copyright: Chinchilla Chronicles, .